Say hello to Auto to Awesome…. 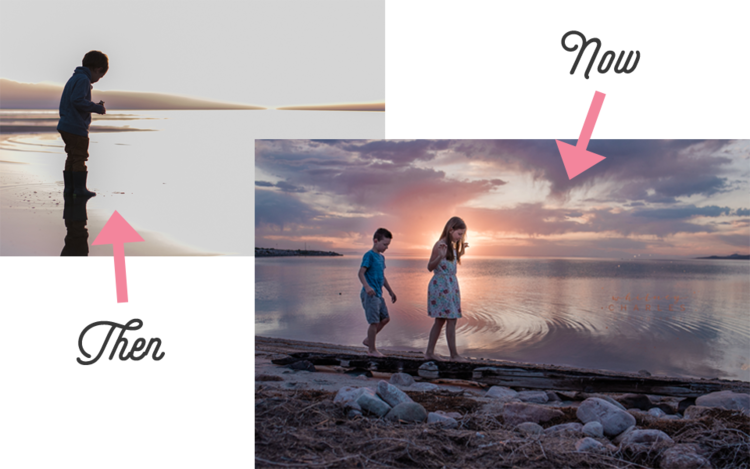 Auto to Awesome is my step by step, foolproof program that gives you the framework how to take professional level frame worthy images of your children and family life, in just a few short weeks. In Auto to Awesome, you’ll get ALL the pieces of the puzzle, and shown how they all fit together, so you’ll never feel lost, overwhelmed, or wondering what the heck you’re missing. It’s a total one stop shop for learning photography! 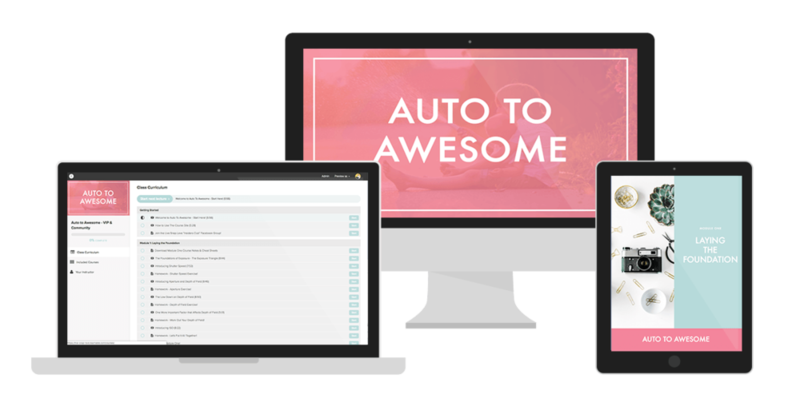 Auto to Awesome is broken down into six main modules, each filled with step by step video lessons, written exercises, over the shoulder camera set up tutorials, workbooks, course notes and printable cheat sheets. You’ll learn the fundamentals of exposure, how to shoot in manual mode, correct metering techniques for different situations, “cheats” for changing your settings faster, how to shoot in ALL types of natural light (low light, sunny days, cloudy days, window light etc), and a treasure trove of compositional tricks that will take your images to next level, fancy pants status. Plus, you’ll learn the four step framework for count-the-eyelashes tack sharp images….and so so so much more. When you enroll in Auto to Awesome you get access to our online student portal, where you’ll find all the modules and lessons of Auto to Awesome sitting waiting for you. You don’t have to faff about downloading videos (unless, of course, you want to) as you can log in from anywhere that has an internet connection, and with any device! That means you can watch from home on your desktop computer in your PJ’s, or on your iPad whilst folding laundry or making dinner. You could even watch at a friends house or at the local coffee shop! Plus, ‘cause I know how busy you are, the lesson are bite-sized for easy learning (no snore fest 45 minute trainings here) so you can easily fit in a lesson each day. Want to hear what others have said about Auto to Awesome? Image by Auto to Awesome and Launch Into Lightroom student Whitney Charles. Interested in this course? Enrollment is currently open so grab your seat while you can! Find out more about Auto to Awesome by clicking on the button below.